I took Maya bowling the other day (that isn’t me in the picture with her). The experience was incredible. It was the first time we were able to do an activity and not have to actively think about how to have her comfortably and successfully participate. I was prepared for us to sit at the top of the lane with her in between my legs. The place we went to had these fantastic ramps that accommodated her wheelchair. She could sit comfortably and roll the bowling ball down the ramp. They put the bumpers up in the lane so that she would not have any “gutter balls”. The squeeling and grinning made me so happy. We don’t come across an opportunity like this very often. It is the best feeling to see my child so elated by participating in a typical activity and feeling successful while doing it. 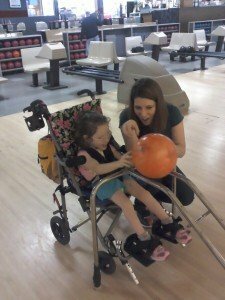 Check and see if your local bowling alley offers wheelchair bowling. 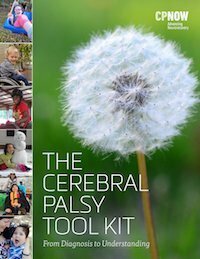 *For more information about adaptive sports and fun things to do with your child see the Fun Places & Adaptive Activities section of the site.